While the current lawsuit is a US based filing, it is likely that BT will also file suit in European court as well to protect their portfolio there and increase the chances of victory. BT joins Apple, Oracle, Microsoft, Gemalto, and eBay as major tech companies who claim Google's open source platform infringes on their technologies. BT can confirm that it has commenced legal proceedings against Google by filing a claim with the US District Court of Delaware for patent infringement. The patents in question relate to technologies which underpin location-based services, navigation and guidance information and personalised access to services and content. BT's constant investment in innovation has seen it develop a large portfolio of patents which are valuable corporate assets. Google says the claims are without merit. 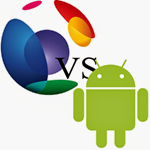 Apple is also suing popular Android handset vendor HTC for violating a patent that Apple acquired from BT, in 2008.